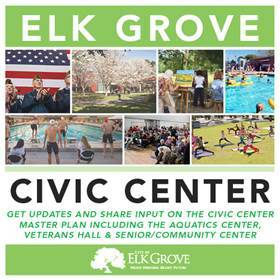 Next Wednesday the City of Elk Grove will hold an open house and community meeting on the proposed Civic Center. The Civic Center, which was proposed and planned before the credit collapse and Great Recession, was originally envisioned as the centerpiece of Elk Grove. Those beleaguered plans have at times included a city hall designed by the late internationally renown architect Zaha Hadid and more recently an Olympic class aquatics facility. Subsequently, Hadid's conceptual plan was scuttled after spending about $500,000, and an agreement with a contractor for the aquatics center, P3 International, who was paid $700,000 to develop financing plans and identify an operator, has resulted in suits and counter-suits in Sacramento Superior Court. More recently, the Elk Grove City Council has discussed a scaled-down aquatics center, a Veterans Hall and a combination senior-community center for the parcel located in the city's Laguna Ridge area. With an estimated $51 million construction cost, these proposed facilities, which will be enjoyed by the entire community will be funded from Mello Roos fees the City of Elk Grove has imposed on residents primarily in the Laguna Ridge subdivision. The meeting will be held at City Hall and is designed for the public to receive updates on the project and provide input. The meeting will start with an open house at 4:30 with a meeting following at 6 p.m.
For more information, please visit the City’s website or contact Jason Behrman, Assistant City Manager at (916) 683-7111 or jbehrmann@elkgrovecity.org.